Well folks here we are the first of December and counting down via the advent calenders has begun. We have our tree up, early by some standards but as it is the first year monster has really got into the idea of christmas it could have been far earlier as he has been nagging about it for a fortnight. I have also gone my first full month not smoking though I still desperately want one at times the smell has now started making me feel queasy. I managed to print out my short story for the Woca anthology and mark up all the edits needed so I shall be working on that this weekend. Have a great weekend everyone and don’t forget to post pics of your trees to help us all get in the christmas spirit. Fantastic about the not smoking — I am hopeless and today was my quite cigarettes and smoke cigars instead day (Rhonda knows) – argh! Glad to have discovered your blog! Your puppy sounds like it needs puppy training haha! A lovely tree, Paula! 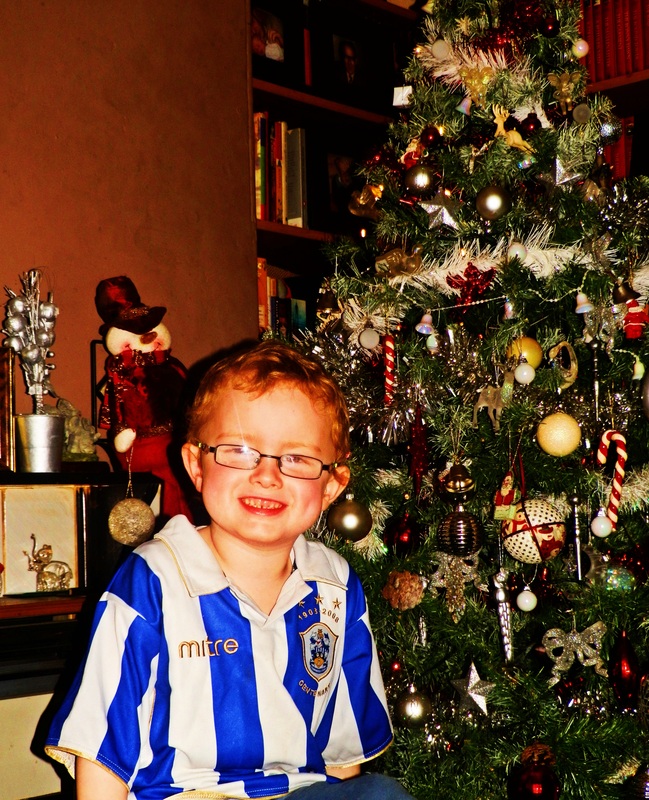 My son’s only vaguely excited about Christmas – not sure he really understands it all just yet. I still have to figure out where to put our tree this year. Our house is a bit on the small side. And congrats on the one month of smoke-free! 😀 You’re an inspiration! Pingback: Weekend Roundup: November 25 – December 1 « Neither Here nor There…. I wouldn’t have a tree up. I’ll be in a hotel for Christmas so I’ll have a Charlie Brown tree then. where are you going? Anywhere nice? Pennsylvania. To see my brother and his kids. It’s cold there so “nice” isn’t the right word. Wonderful news about the not smoking! Your son is so cute! Your tree is beautiful. We won’t have a tree this year, don’t have the room. Your little Monster is so cute and I am loving the tree! 😀 Also, a huge congratulatory for not smoking for a month! That’s a HUGE accomplishment, Paula 🙂 Keep being strong! What a little cutie pie! We usually wait, so we don’t have to mix Hanukkah and Christmas, but we couldn’t wait this year, and are going to Farmer Brown’s tree farm to cut our tree tomorrow. I am so proud of you for going a whole month without a smoke. I am not a smoker, but I watched my mom struggle to quit for years. She never did manage. But I know that you will. You go, girl! I love both holidays–all the more to celebrate. Merry Christmas to you, Paula! There is something very special about sharing it through the eyes of young children. Your son is so beautiful! Congrats on the non-smoking (I need to take a leaf out of your book on that one). Keep up the non smoking thing!! 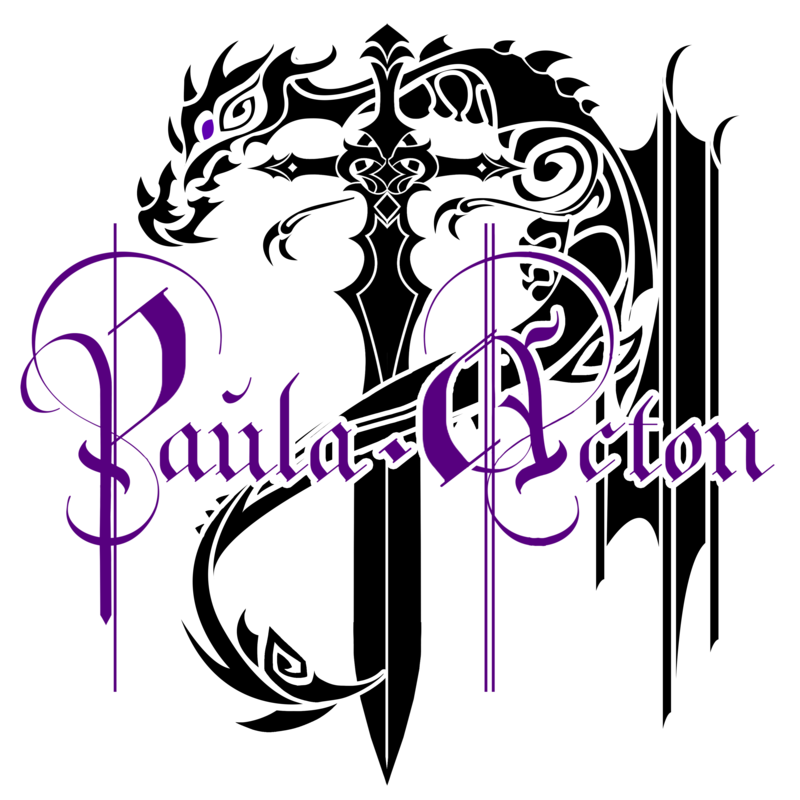 Way to go Paula! I haven’t thought about Christmas at all yet. It seems December flies by too quickly. Looks good though! Monster is adorable, and your tree is beautiful. I love advent calendars. Previous Flash or Maybe More?